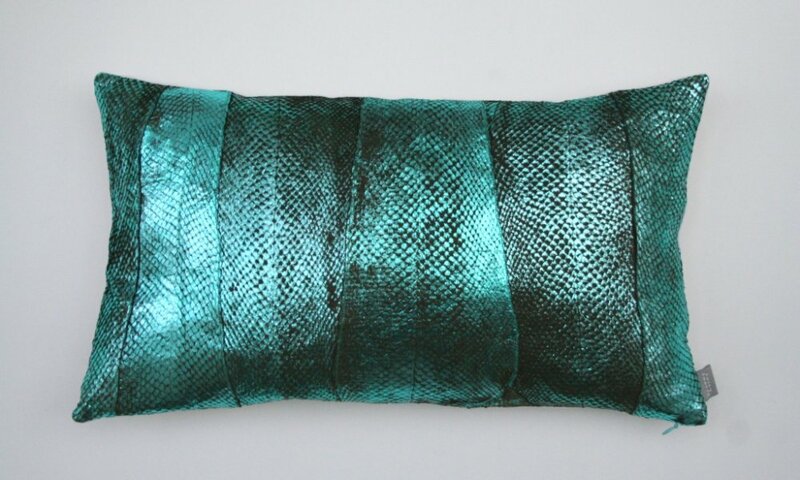 30cm by 50cm cushion made from salmon leathers which have been stitched together to form the cushion front. The back of the cushion is in white linen. 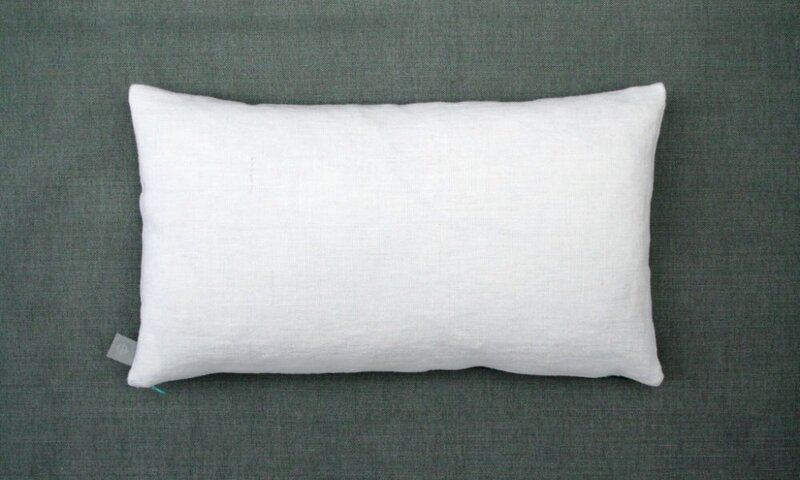 Cushion has feather pad, concealed zip and brand label.